YouTube ads have just received a serious upgrade – and Google says that there are more upgrades in the works. 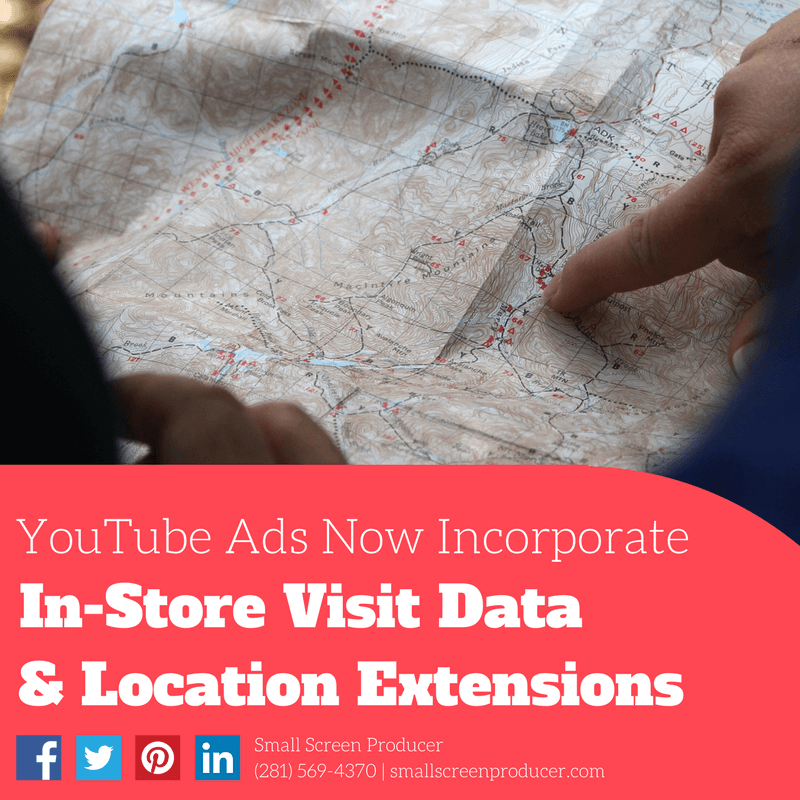 Late last week Google announced that AdWords on YouTube will now include location extensions and that brands will be able to measure in-store visits. These will be available on bumper and TrueView in-stream ads. When a user views a video with a location extension, they will also be provided with the hours, address and directions to the business being advertised. Store visit data will track how many users visited a store after viewing one of your ads on YouTube. Users can start taking advantage of this service now by heading to the “extensions” tab in Google AdWords and enabling this service. YouTube currently has over one billion users with over 500 million hours of video being watched on YouTube each day – so you can only imagine how many YouTube ads are being viewed on an hourly basis worldwide. But YouTube is not the only place where video ads are being consumed at a rapid pace. Social media is another hot spot where a growing number of users are watching video ads. This number has grown so much that as many as 60% of marketers incorporated video into their social media marketing campaigns in 2016. According to Social Media Examiner, 73% of marketers planned on increasing the use of video in 2016. Unfortunately, 83% of marketers said that they didn’t have the time, budget or resources to create more video content. From script writing and motion graphics to voiceovers and on-location video shoots, Small Screen Producer’s in-house video production team specializes in creating fresh and engaging videos for brands and their visitors. Check out our work by viewing our diverse video portfolio under the “Our Services” tab and clicking on the “Video Production” option on our website. Have a question? Give us a call for more information at (281) 569-4370.